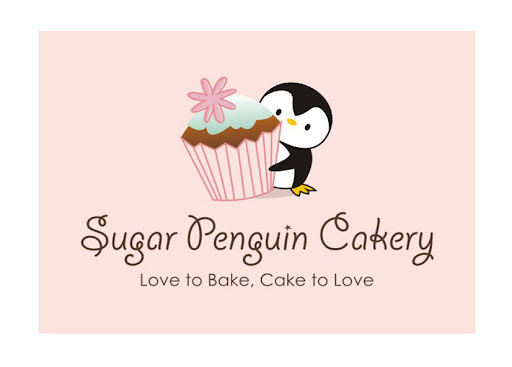 Sugar Penguin Cakery: "Earth Laughs in Flowers"
I thought that quote is appropriate as we are in Spring where the earth is decorated with colorful blooms of vast array of colors and sizes. Those flowers brighten your day, make you smile. We just celebrated Mother's Day just last week. Since the day was nice, we did a luncheon/BBQ at our place. Steaks, crab cakes with lemon garlic aioli, risoles (Indonesian snack: chicken ragout-filled crepes, breaded, and deep fried! ), and all the trimmings were served. And let's not forget the cake! 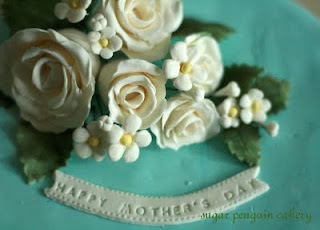 I've been trying to make sugar flowers all week.. 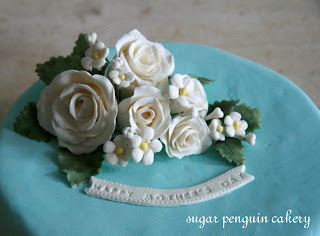 Boy, it was not easy to make sugar flowers! There were lots of steps to follow before I can actually make them. I have to prep the wires, the inside bulb, the gumpaste, and waited for them to dry first. Prepping the petals were another thing, I had to vein them, thin them, ruffle them to give them "movement," dust them with colors, and waited for them to be "semi-dry" before I can arrange them into flowers. The leaves were another thing, same process, but coloring them are hard!!! I supposed to glaze them with confectioners glaze to make them very realistic, but it was almost 2 am by the time I finish, so I said fuggetaboutit... hah! Oh, sugar flowers and uber-curious 3 years old son doesn't mix either, he decided to want to "just look" at them and cracked a few petals here and there... Oh well. What can you do, right? I would love to learn more about making those sugar flowers, although I know it's a long and extensive process, but so rewarding at the end, specially when you see your design come to life with those flowers.